In early 2000 as the tech bubble was about to burst I was living in San Francisco and working with Australian start-ups entering the US Market. One Sunday, I found myself in the home concept store for Levi Strauss. I walked into a fitting room sized body scanner, after the scan I specified my styling and fabric preferences in minute detail - starting with whether I wanted Cargo Pants or Jeans and finishing with the type of fly I wanted. "Button up" if you were wondering ;) A week later a bespoke pair of jeans arrived on my doorstep exactly as I had ordered them. They fitted better than any jeans I have had before or since and, even with an exchange rate of 55c the cost was comparable with off the peg in Sydney. Roll forward 16 years and I am still buying ill-fitting jeans off the peg in retail stores. The Lotte system is presumably a reimagined version of what, even then, was pretty neat technology. So why isn't this technology everywhere? If I am a business investing in technology, any technology how do I make its use ubiquitous. This question is often posed by many business leaders after all sorts of technology has been implemented. Their "everywhere" might be global, or more likely throughout their own business operations or sometimes just within one Department or work group. What can you do to make sure the technology you invest in is used "everywhere"? Our experience is that those businesses who do get the technology up and running and being used 'everywhere' have done a few things consistently and well. The technology has been introduced to support one or more of the core competencies of the business in meeting their client or customer promise. I don't know how Lotte will go with their virtual fitting service. I do hope they succeed as I am sick of buying ill fitting clothes off the peg. I do know something of the tell-tale signs of their success, before they have even started based on the three things above. Does it reinforce and enhance the Lotte promise to their customers and support their people to do it? Did they walk into the launch of the product eyes wide open to how they needed to prepare their people and their customers for the change? Lotte Department Store is to implement a ‘Virtual Fitting Service’ for customers to try on clothes, without actually putting them on. 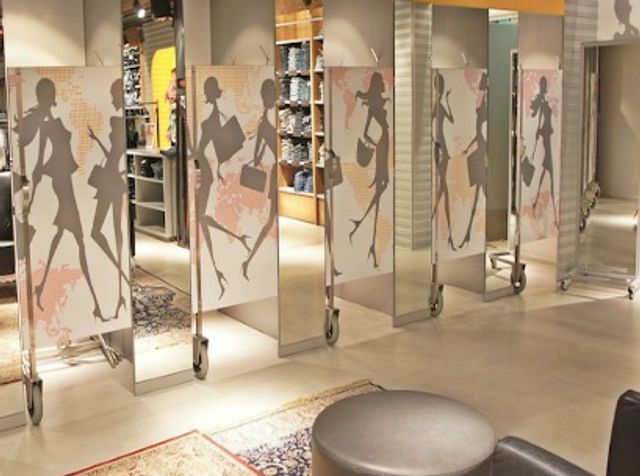 The service uses a special mirror that provides a virtual reflection of the customer wearing the clothing by applying a 3D image of the product to the customers’ body. It will also help customers to save both time and the nuisance of having to try on different clothes.